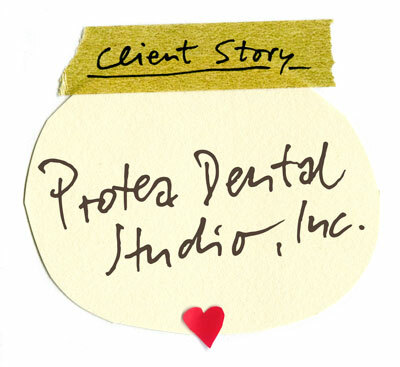 Leon Hermanides: Protea Dental Studio, Inc. I was beginning to grow my business and I knew to make it out 'alive' I was going to need a better grip on what we were doing and where this would all lead. The concerns that I remember voicing to my coach were that I was working too many hours and not really seeing any financial reward. I had no way of knowing where I stood in relation to the goals I wanted to achieve and that we spent too much time putting out fires. When I reached the Management part of "Getting your house in order," I hit the wall. The business was not going well and I needed to concentrate hard on achieving the level of technical work we were promising. This involved a lot of overtime and I was not getting anywhere close to completing any of my coursework, cash-flow was tight and I was thinking hard about discontinuing my work with my coach. It took a massive effort and some intelligent, thoughtful and well-placed guidance for me to punch through the wall. I am grateful to my coach and the people I don't know who are guiding and working with her for helping me get through it and continue the work. The coaching program has allowed me to have a clearly defined vision. As I have worked through the coaching program, understanding what we are working on has enabled me to make decisions that are clearly grounded in where we are going and what we have set out to do. I have been developing a deep understanding (through the nurturing guidance and occasional pushing of my coach) of my role as an entrepreneur, I have been able to free myself for one day a week to live the part and I love it! I have experienced a growth in revenues of over 100%, from two employees we have grown to eight, expanded into larger premises, added a department to serve more of our customers needs and I am beginning to see an increase in profitability. I have enjoyed the program. My coach has been patient and understanding. She has nurtured, pushed, prodded and guided me in a manner that has been the most fulfilling business partnership I have ever experienced. I can confidently work in and on my business with this kind of support. Coaching works! Where else can a small business owner go to get this type of information packaged in a way that can be understood and followed? Learn more about Leon Hermanides and Protea Dental Studio, Inc.